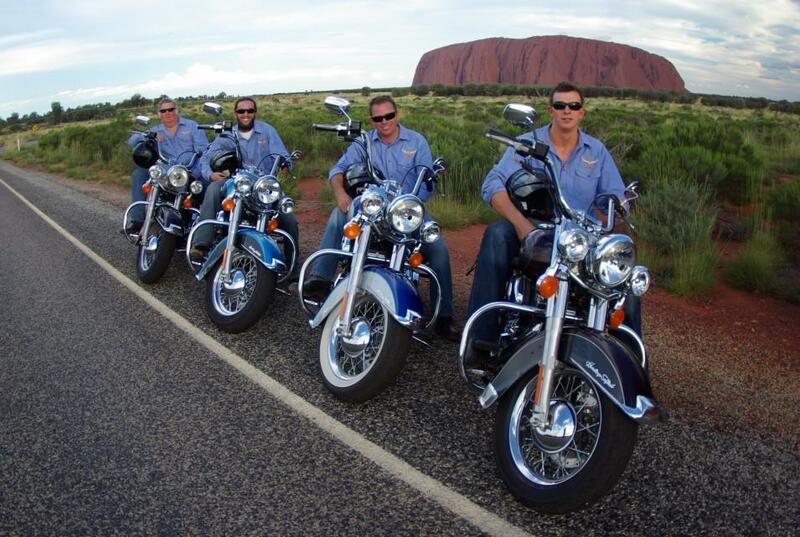 Experience the beauty of Central Australia like no other, on the back of a late model Harley Davidson motorcycle and ride into the amazing sights of Ayers Rock (Uluru) and The Olgas (Kata Tjuta). 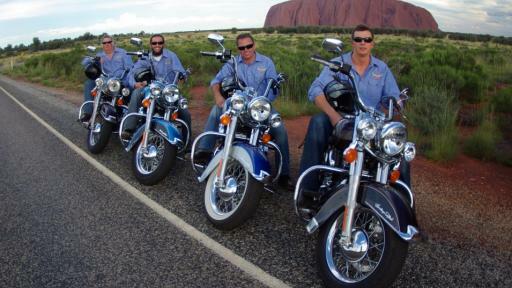 With options available ranging from 30 minute to half day tours. 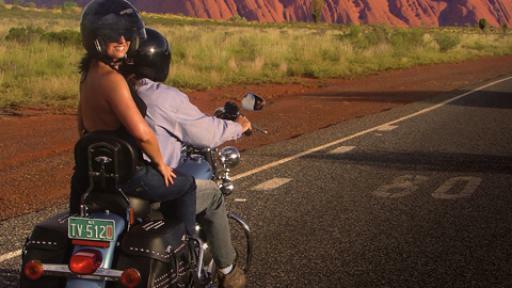 Departing Ayers Rock Resort, these tours offer unprecedented access to some of the Northern Territory's most amazing natural attractions including the Uluru-Kata Tjuta National Park. 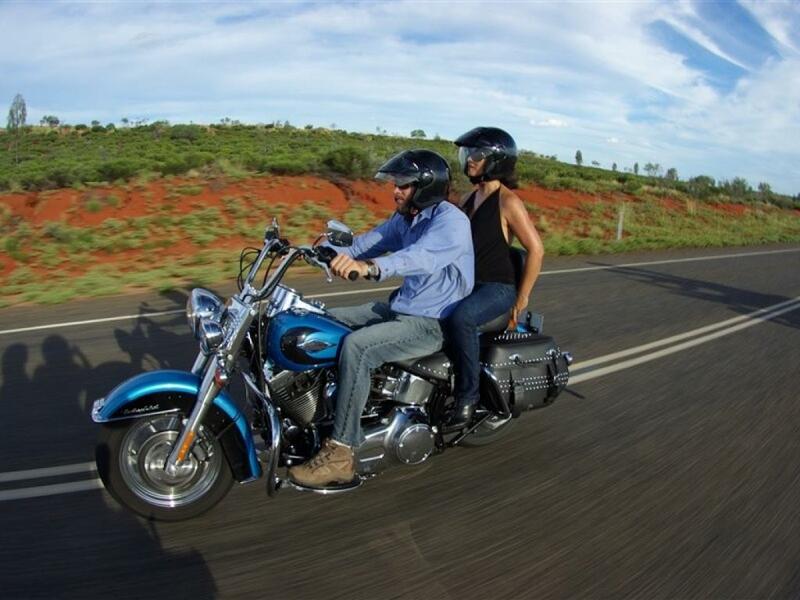 Experience the exhilaration and freedom of the outback as you weave your way through the iconic red sand dunes and desert flora and fauna. 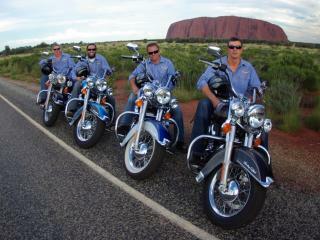 Options for Uluru Motorcycle Tours. 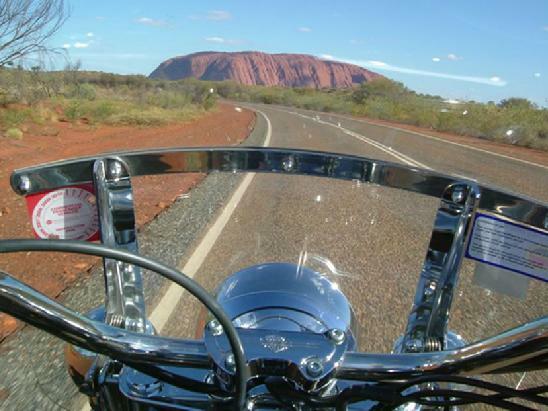 30km Quick Spin: Ride down to the Ayers Rock Sunset Strip and back to the resort, where you can enjoy spectacular views of Uluru with a stop for photos (approximately 30 kilometres). 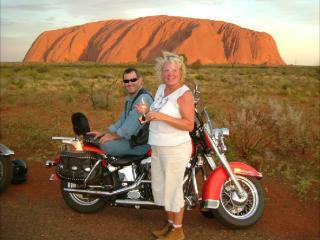 Departs daily - anytime except sunrise and sunset. 30 minutes duration. 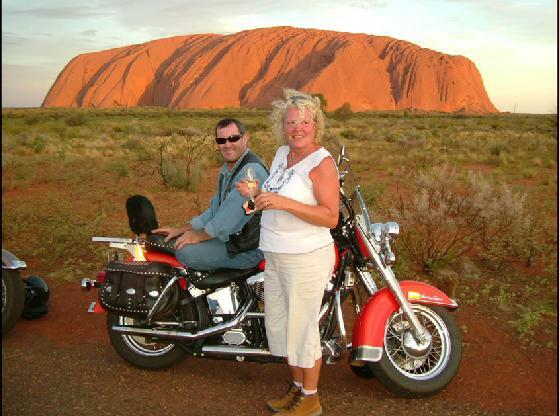 Uluru Cruise: Includes a lap of Uluru, stop for photos and then return to the resort (approximately 50 kilometres). 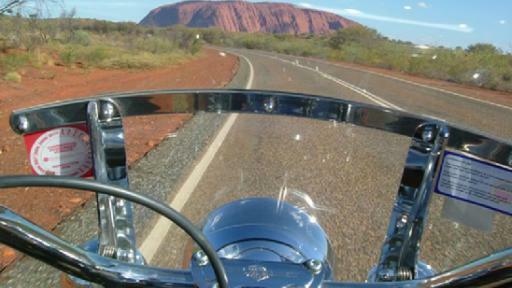 Departs daily - anytime except sunrise and sunset. 1 hour duration. 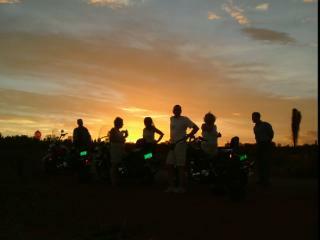 Uluru Sunset: Travel to the Ayers Rock sunset viewing area where you will enjoy champagne served while enjoying sunset. See a Northern Territory sunset as it takes Ayers Rock through its cycle of colour changes. Departs daily - 1 hour prior to sunset. Approximately 1.5 hours duration. 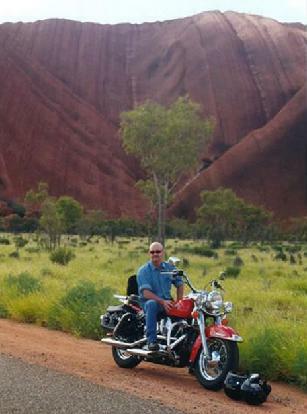 Kata Tjuta Tour: Travel on a Harley Davidson to Kata Tjuta (The Olgas) and return to Ayers Rock Resort (approximately 100 kilometres). 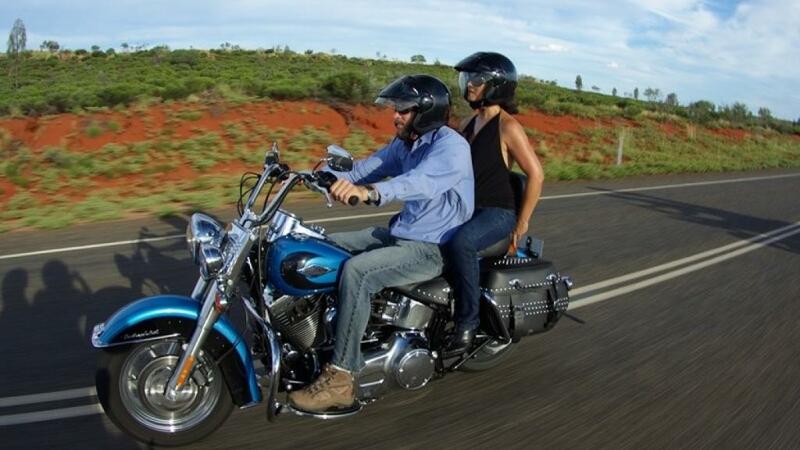 Departs daily - anytime except sunset or sunrise. Approximately 2.5 hours duration. 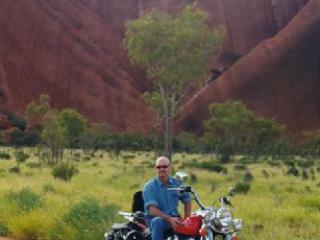 Kata Tjuta Sunset: Experience a famous Northern Territory sunset, with Kata Tjuta (The Olgas) as its feature. 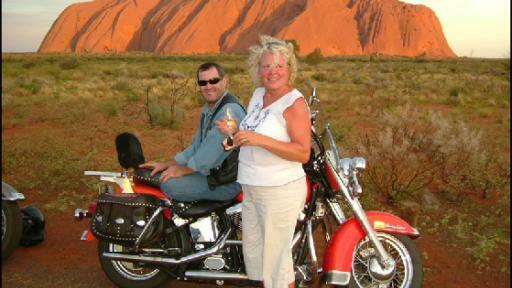 Enjoy a short walk into Olga Gorge then you will be served chilled champagne whilst viewing the sunset. Departs daily - 1.5 prior to sunset. Approximately 3 hours duration. 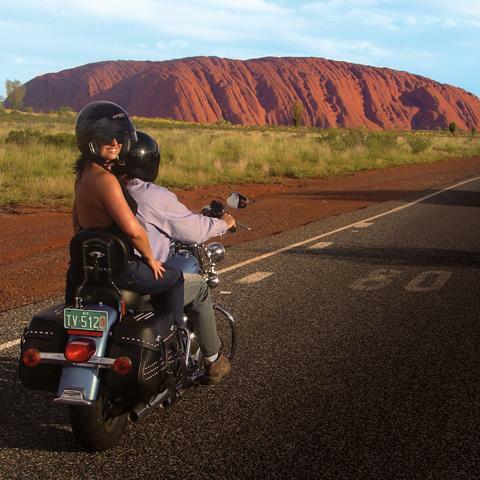 Uluru & Kata Tjuta: Pick up from Ayers Rock Resorts and enjoy a leisurely Harley Davidson ride to the Olgas viewing area for photos and then to Olgas Gorge for a walk. 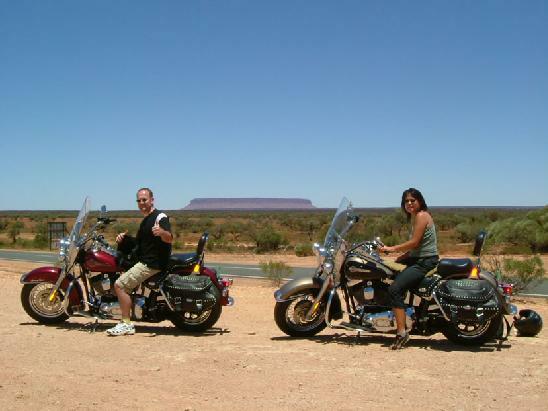 Then ride for a tour to Ayers Rock and finally to the sunset viewing area for photos (approximately 150 kilometres). 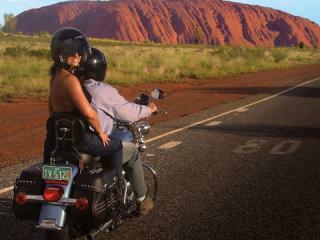 Departs daily. Approximately 3.5 hours duration.